The bark of the mukula tree has medicinal properties, the outer wood is prized for furniture and flooring, and the dense core is valuable to Chinese rifle manufacturers. With hundreds or thousands of dollars packed into each plant, mukula forests represent a gold mine for Zambia. But an entrenched web of corruption ensures only powerful Zambians and foreign companies reap the rewards, while a rare species edges toward extinction. Mukulas are so depleted that illegal logging or harvesting operations must search deep into the mountain forests of eastern Zambia to find them. Illegal logging of various tree species including the mukula tree has been identified as one of the drivers of deforestation and forest degradation in Zambia. In an effort to protect the trees and preserve carbon-reducing forests, projects are underway in Zambia as part of REDD+. The United Nations’ REDD+ programme – Reducing Emissions from Deforestation and Forest Degradation – creates financial incentives for developing countries to preserve their forests. In Zambia, a number of these projects are being implemented in areas where there is rampant illegal exploitation of the mukula tree, such as in the Eastern Province and also a pilot initiative in Rufunsa District (Lusaka province) that is meant to serve as a model for the implementation of other community-based REDD+ projects in the country. 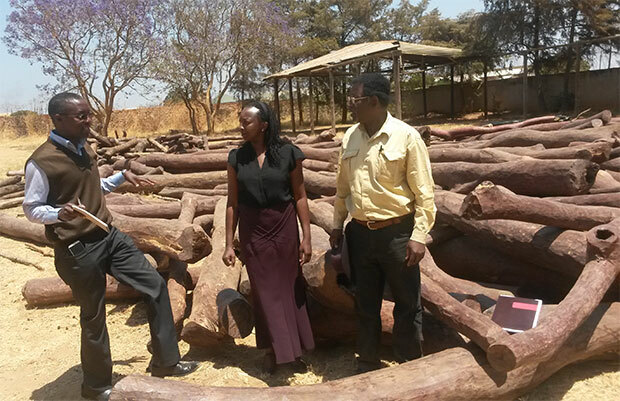 The government has also restricted exporting unprocessed timber, including mukula logs, and has set up a task force to curb the illegal trade. Despite this, information from local communities and other stakeholders at the district level indicates illegal logging has only gone further underground, thanks to a constellation of corrupt government officials, businesspeople and traditional leaders who profit from smuggling operations and thwart efforts to enforce the law. For example, at a meeting organised by Transparency International Zambia in Chipata district (Eastern Province) with stakeholders from government, NGOs, private project implementers, chiefs’ representatives and the church, a story of a police officer who intercepted a truckload of mukula logs was told. But when the police officer tried to bring a case and charge the suspects, he was transferred to another district. In another instance, a frustrated forestry officer told me he had discovered piles of mukula logs at the palace of a powerful chief who claimed to have confiscated them. Believing his job to be at stake, the officer never pursued the investigation. In another incident, the Forestry Department in one of the districts we visited impounded a stash of illegal mukula logs discovered after the truck hauling them overturned on its way to the border. There were allegations connecting the cargo to a powerful individual. In a country where salaries are low and jobs are scarce, the prospect of cutting down four trees a day for between US$2 and US$4 apiece is irresistible to many Zambians, even if they understand the legal and environmental consequences. REDD+ has the potential to incentivise preservation, but so far it hasn’t. The most advanced project – by a Lusaka-based company called BioCarbon Partners, with investment from the World Bank and others – is in pilot stage, and it is confronted with many of the challenges REDD+ projects have encountered in other countries. Some members of the local community living in close proximity to the project area claim that BioCarbon Partners usually deals directly with traditional leaders, leaving them in the dark. In the information vacuum, rumours flourished: “Look at the headman. He even has a TV now in his house,” implying that the headman had been bribed and did not represent their interests. In the worst case, in 2015 villagers accused a REDD+ project implementer of setting fire to the homes of people encroaching on REDD+ forests. 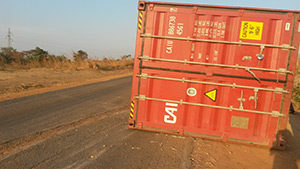 TI Zambia has submitted questions to the state about the incident, but we have not received a response. I can’t say for sure whether headmen involved in REDD+ projects are accepting bribes or not. But I can say that the success of REDD+ here is in peril. Without buy-in from communities – and until money finds its way into locals’ pockets, which it hasn’t – REDD+ projects in eastern Zambia may fail to save mukula forests from an illegal and lucrative industry. The good news is that the projects are still in their infancy. It’s not too late to build better mechanisms for transparency and accountability and strengthened whistleblowing so that people feel safe to report corruption. Most importantly, local community members can still be brought into the process. Companies implementing REDD+ projects must not only respect the principle of free, prior and informed consent, but must treat residents as equal partners in creating a new paradigm for their local economies.